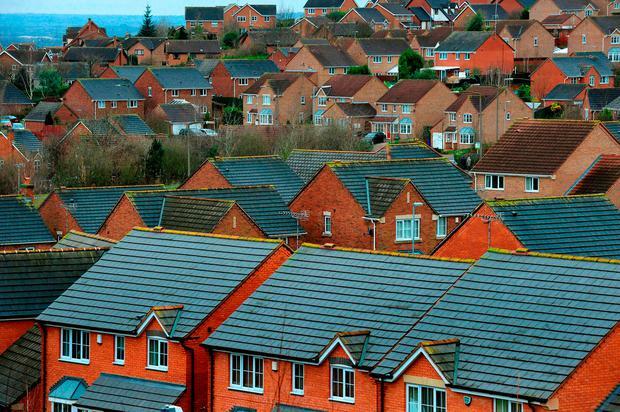 The number of houses for sale dropped to an all-time historic low of 22,100 in January. The startling figure is indicative of a rapidly worsening housing crisis, and part of a steady slide that has seen the numbers of available homes plummet since 2010. In Dublin, where the housing crisis is being most hard felt, supply fell further to about 0.5pc - 10 times less than would be expected in a "normal" market. The data, published in the 'Sherry FitzGerald Irish Residential Market Report for Q1', represents a 17pc drop on the 26,600 homes offered for sale 12 months previous. It comes at the end of a seven-year downward spiral of available homes for sale. Supply has collapsed by 59pc from 54,100 houses and apartments available in 2010. The statistics show that the housing crisis is worsening despite the launch last year of the biggest Government emergency construction plan in generations, and despite a marked increase in new home construction. In a normal housing market around 5pc of all homes should be available for sale at any given time. Current stock is four times lower with just 1.2pc of homes available for sale. In Dublin, some markets are running at half of that. South Dublin had just 0.4pc of its stock for sale - the smallest percentage nationally - while the City and Dún Laoghaire-Rathdown showed a slightly higher 0.6pc. Fingal was at 0.7pc, while commuter counties also saw homes in sparse supply. These included Kildare (0.7pc), Meath (0.8pc) and Louth (1.1pc). Other population centres showing supply levels below the national average include Kilkenny (1pc) and Galway (1.2pc), which is down 11pc on the previous year. Limerick's supply of housing stood at 1.4pc, a slide of 19pc on the previous year. Sherry FitzGerald chief economist Marian Finnegan said: "Compared to 2010 levels, Dublin has seen supply levels decrease by 43pc." A number of factors have combined to produce the lowest supply on record. Negative equity is still preventing many from selling, while tracker mortgages have also been a factor in preventing homes from coming to market. Additional factors include fear among those who wish to trade down that they will be unsuccessful in getting a property and lose their proceeds as inflation ratchets up. Also contained within the report is evidence that more than twice as many landlords are selling properties as are buying them, despite rents continuing to spiral. Investors accounted for 19pc of purchasers nationally (15pc in Dublin) in the first quarter of the year. However, 32pc of sales were accounted for by investors. Another 10pc were due to repossessions, which were mostly on buy-to-let properties. This suggests that closer to 40pc of sales were let properties. "The current supply/demand imbalance in the rental market continued to place upward pressure on rents during 2016. Notably, Dublin saw average rents exceeding peak levels recorded in late 2007, by 8.3pc," Ms Finnegan added. Average rents increased 7.8pc on an annual basis while apartments in Dublin saw rents rise 11pc.